Ran as: Florida Fun Train (RRCX?) 9005 (demonstrator. Not used in revenue set), Rocky Mountaineer 7501 (leased for one season), Alaska Railroad (ARR) 2000. Notes: This car was built for service on the Florida Fun Train, but was never delivered due to passenger safety concerns with the rear platform. 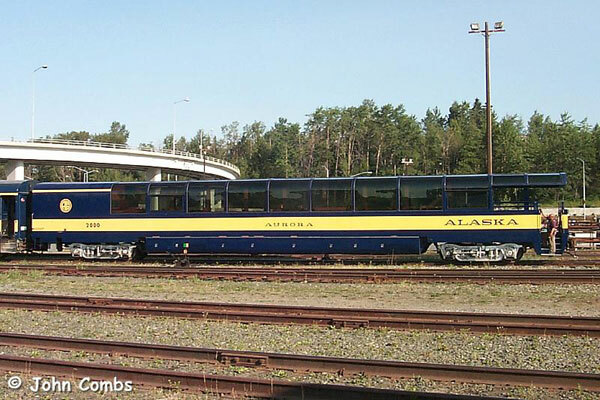 After spending a season in lease service to the Rocky Mountaineer, it reposed until purchased by the Alaska Railroad in 1999. Today, this car is used in charter service system-wide. 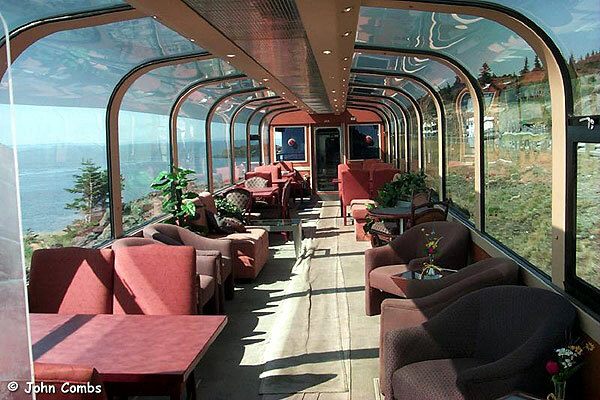 It is unique in being the only single level dome built with an observation platform, and also is the only non-coach CRC dome of any type presently in service. This car was constructed using the center sill from a former Milwaukee Road (or possibly Soo) car shell. It will accomodate up to 34 guests, and has private washrooms and a small galley. 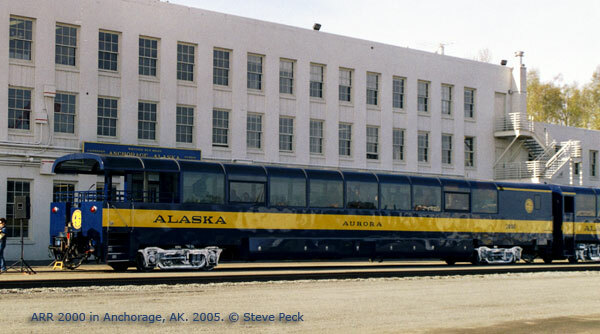 Alaska RR 2000 in Anchorage. Photo by John Combs. Click to enlarge. 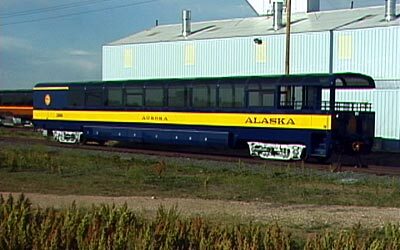 An Alaska Railroad image of the 2000. Click to enlarge. 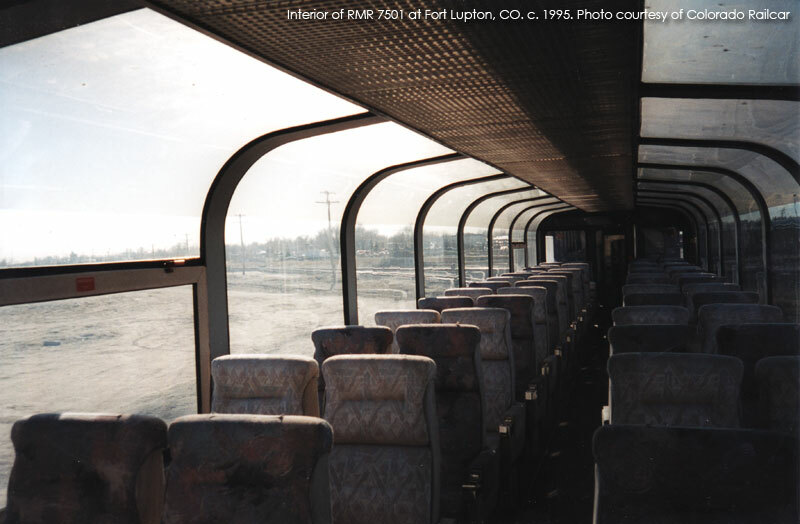 John Combs' image of the interior of the 2000. Click to enlarge. 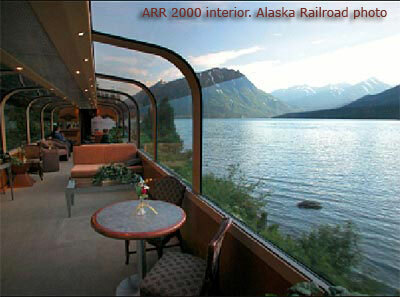 An Alaska Railroad brochure image of the 2000's interior. Click to enlarge. Mike McGowen caught the 2000 in fresh paint at Colorado Railcar before heading north. Click to enlarge. 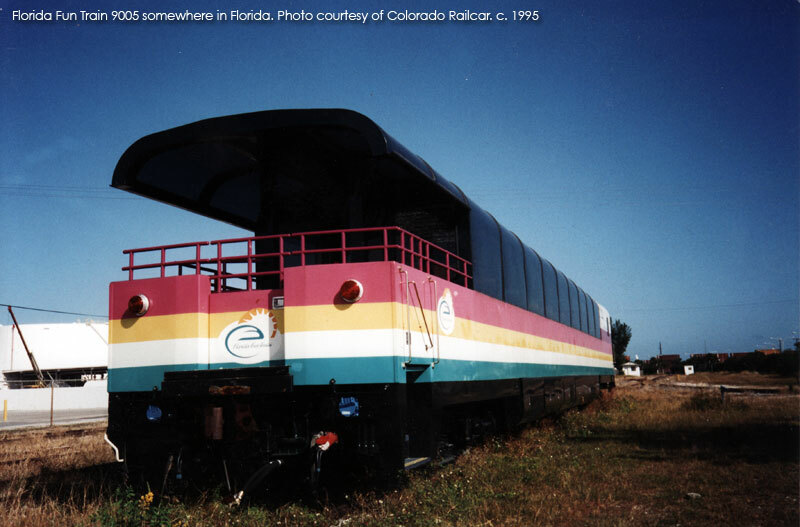 Florida Fun Train 9005 in an experimental Florida Fun Train livery prior to a test run for dignitaries. Photo taken c.1995. From Colrado Railcar archives. Click to enlarge. ARR 2000 spent a season in Canada on lease as Rocky Mountaineer 7501 and painted in their colors. 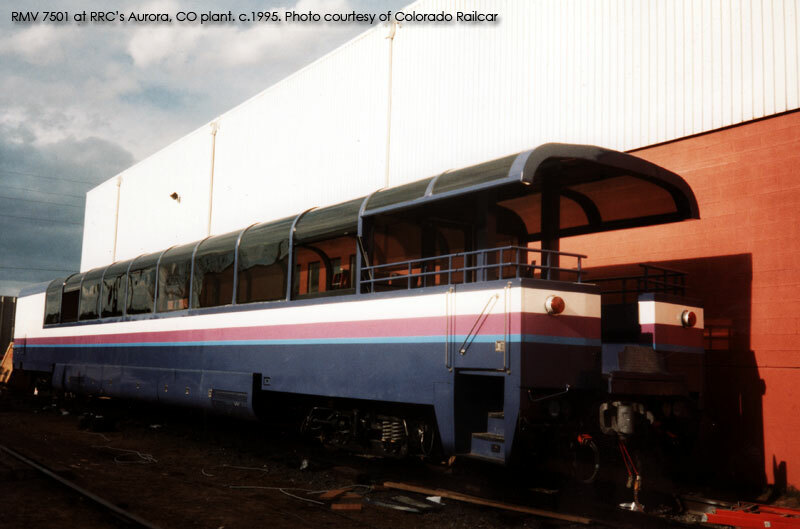 The car is seen here outside the Rader Railcar shops in Aurora, CO prior to departure. From Colorado Railcar archives. Click to enlarge. As Rocky Mountaineer 7501, the car was fitted with coach seating as shown in this view outside the Fort Lupton, CO plant. 7501 traveled to Canada along with the original Goldleaf RMV dome, 9501. From the Colorado Railcar archives. Click to enlarge.